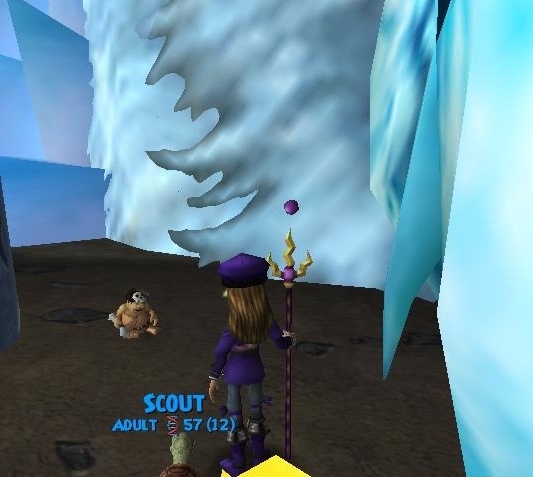 I have decided to make a guide about Prospector Zeke's quests. 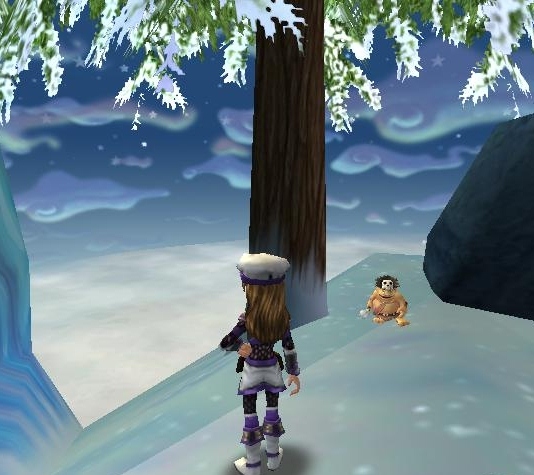 The first world I am going to cover is Wintertusk, and then I will do all the worlds in reverse order. So the question is.....Cavemen? Well they are really called Troggs, but to me they look like tiny little cavemen. 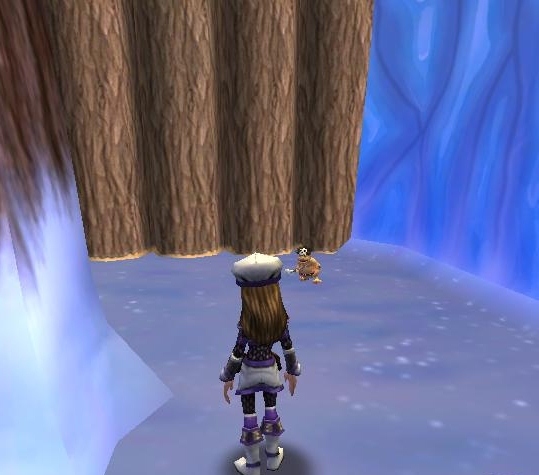 There are 6 Troggs in Wintertusk, one for each of the main areas. This is where they are located. 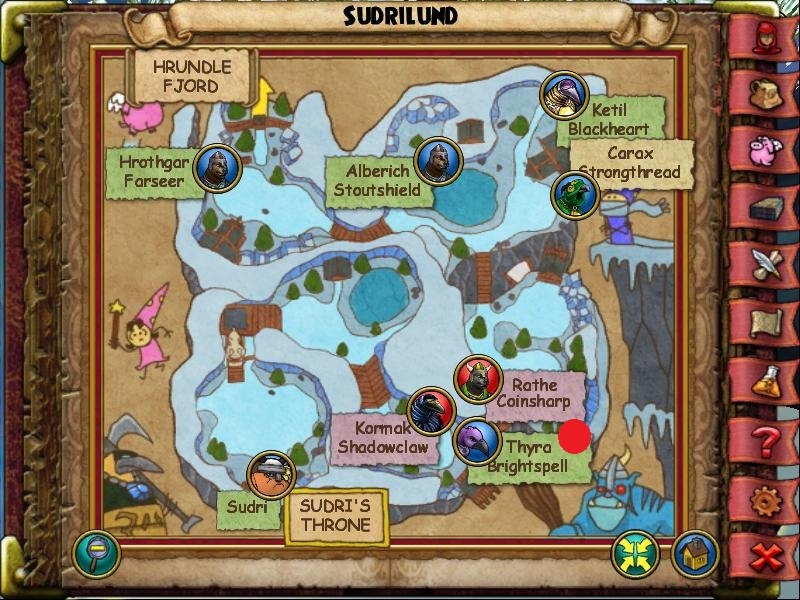 The Troggs are where the red dots are. 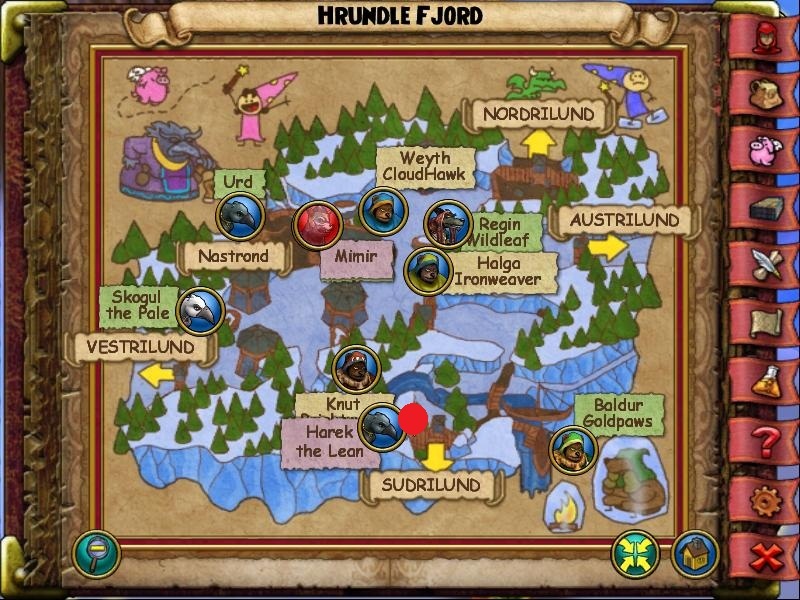 Hrundle Fjord - The Hrundle Fjord Trogg is locate behind a tree near the entrance to Sudrilund. 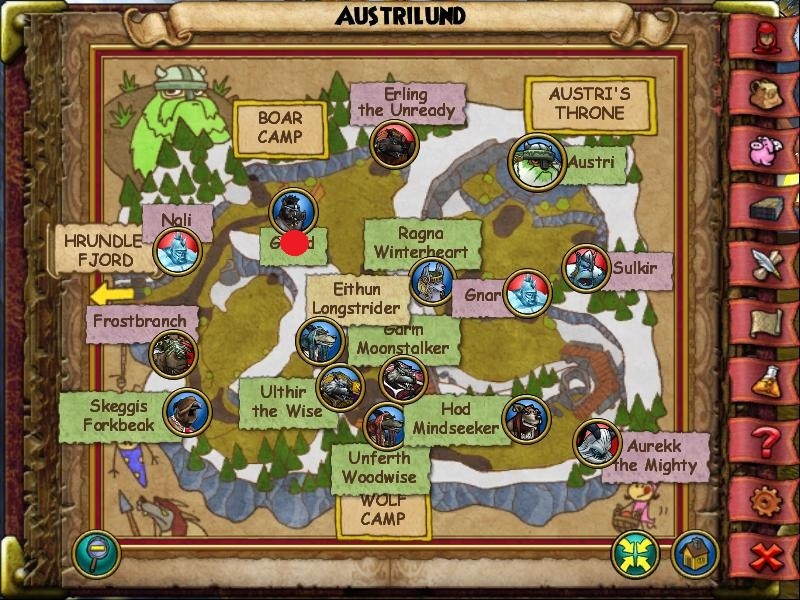 Austrilund -﻿ The Austrilund Trogg is located behind a tent near Grond. 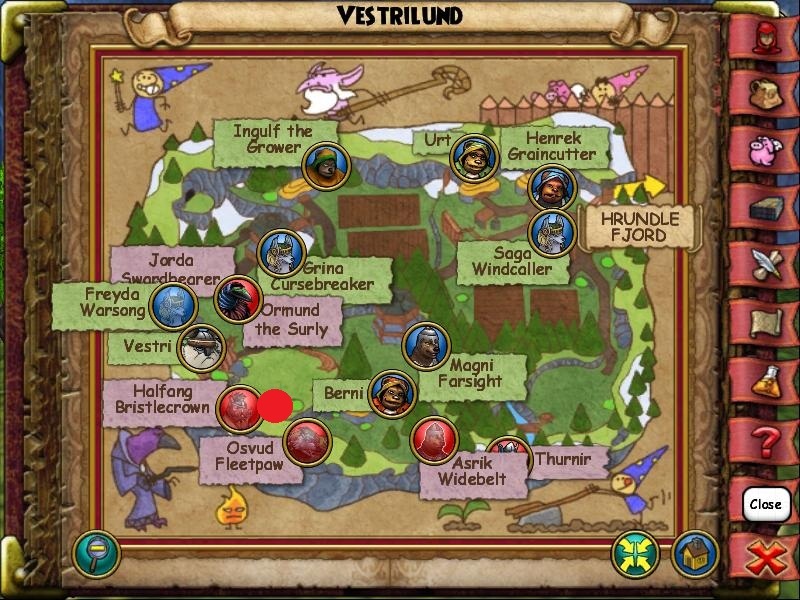 Vestrilund - The Vestrilund Trogg is located up the tree ramp near Halfang Bristlecrown. Sudrilund - The Sudrilund Trogg is located ﻿in the third "level" behind some rocks. 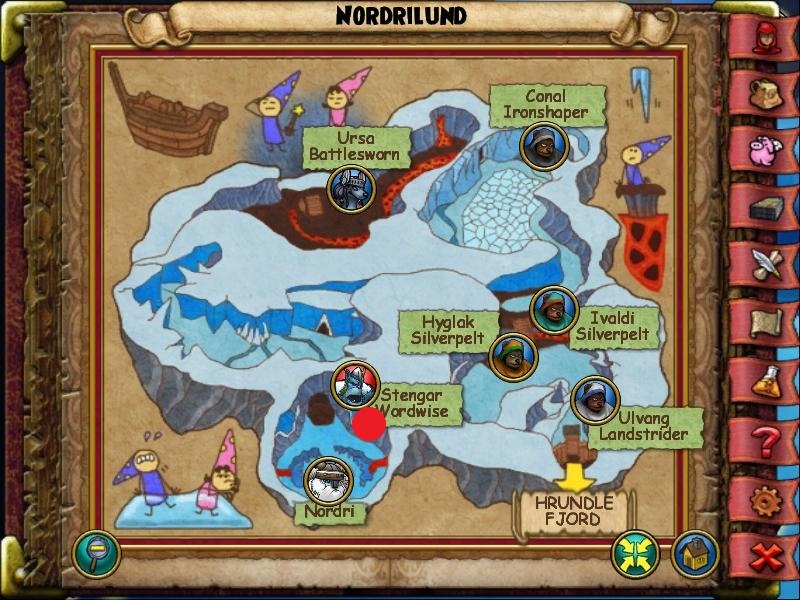 Nordrilund - This little guy isn't really hidden. 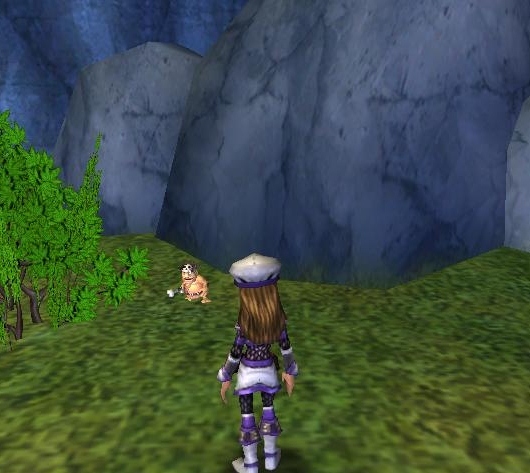 He is in the last room where Nordri is, standing off to the left. 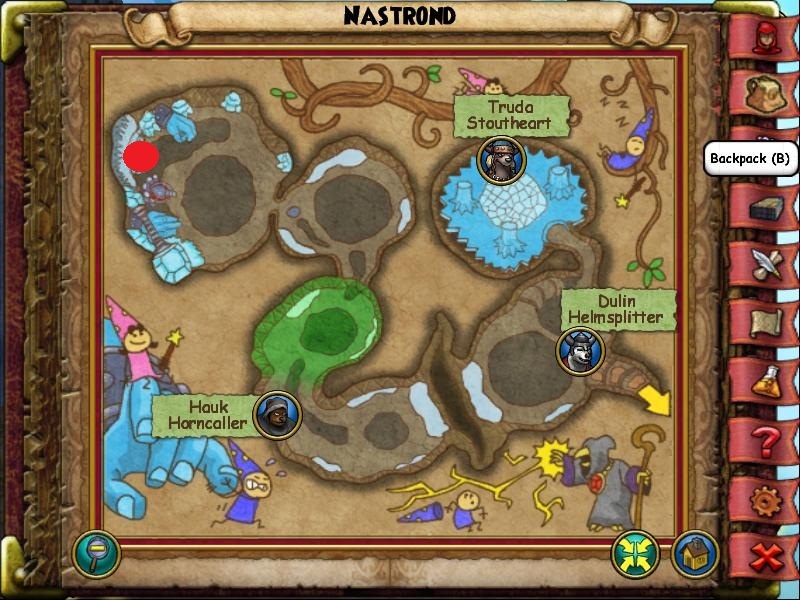 Nastrond - This Trogg is hiding behind the right side of the "platform" in the last room, near Frost Giant. Thank you for reading and have fun adventuring around the spiral!